The threat of “within the next few years” sounds imminent in the quote below, but the graph looks like the threat is more immediate. 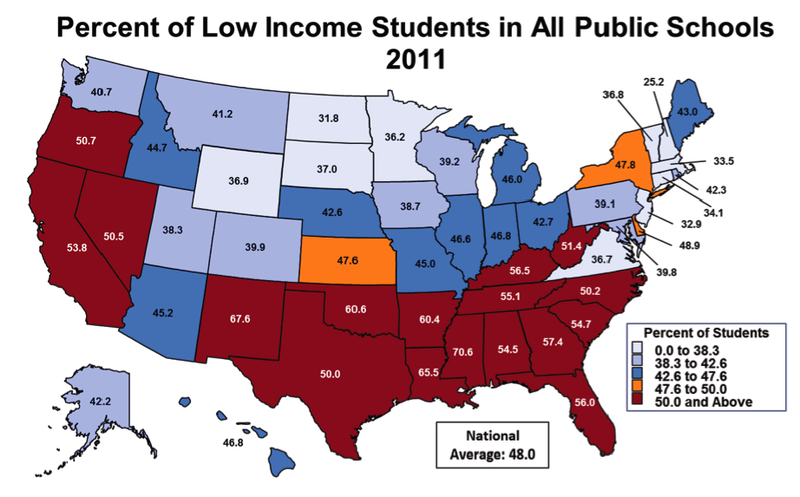 Within the next few years, it is likely that low income students will become a majority of all public school children in the Untied States. With huge, stubbornly unchanging gaps in learning, schools in the South and across the nation face the real danger of becoming entrenched, inadequately funded educational systems that enlarge the division in America between haves and have-nots and endanger the entire nation’s prospects. Defining: What does it mean to understand computing?